What if I could improve my response rate by offering a survey incentive? Persuading your users to fill out a survey is hard. Persuading enough users that you get acceptable response rates is even harder. What if 100% of the customers would have filled my survey? As a rule of thumb, anything above 10% response rates will yield meaningful data. But, what if your customers are simply not committed to providing you feedback? Even if you have the best customers, sometimes, it is just the case that you are not getting any response to your survey. Whether it is because your survey doesn’t really relate to your audience, or its targeted at a new audience base, you have to find a way to nudge them. How can you send out a survey without worrying about whether or not you’ll get back enough responses to make a solid conclusion about something? Believe it or not, there’s a whole field dedicated to answering this one question. Offering a survey incentive is one of those answers. A survey incentive is something that motivates or encourages someone to invest their time in a survey to the best of their ability. Incentives come in many forms. Surveys are present everywhere, all around the physical and digital world. Whether you are talking about feedback survey, lead generation survey, research survey, quiz, Net Promoter Score survey, guest satisfaction survey, or any kind of survey, you have a few things to take into account when it comes to creating the survey. We’re proud to announce that Feedier has recently been recognized for setting the gold standard for user experience. A team of professional B2B experts from FinancesOnline awarded us their Great User Experience award for 2018 in recognition of Feedier’s intuitive interface, ease of use, well-designed functionalities, and easy product implementation. We all have, at least once, looked for a decent customer feedback tool that suits our needs. And, we all know customers aren’t inherently excited about providing feedback. Yet, there is no doubting that feedback is extremely valuable. It validates that the feature, service, the product being carried over is providing value to the intended people. If customers don’t find value, it amounts for some precious time wasted. Focusing on customer feedback makes sound business sense. Feedier has been named a Top 20 Most User-Friendly Survey Software by Capterra for the edition 2018. We couldn’t be more excited! How Does Surya Hotels Collect Guest Feedback? We are going to learn how Surya Hotels are using Feedier to get bigger into the Hotel industry, improve their customer services and guest experience using hotel guest satisfaction surveys. 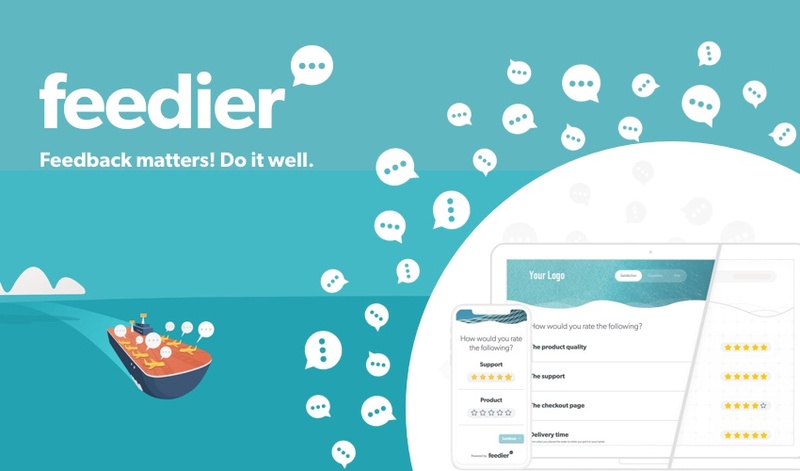 How does KohPlanner use Feedier to collect feedback in the tourism industry? KohPlanner.com offers travelers advices about Thailand and recommends local business such as attractions, activity providers, events, accommodations, restaurants and other services. Besides doing that, KohPlanner creates custom promotions sites for their partners, acting as a middleman and digital partner. Created in 2017 by Santiago Blasco, founder of the Venture Capital company IGT Ventures Asia and Bazaar10X, CEO of KohPlanner and former Emerging Market Director for Box, KohPlanner is becoming a reference in Thailand. This article is an extract from our newsletter sent to our members for the 1.0 version release. We wanted to share with our visitors because it’s a huge milestone for us, and we have also hit 2K users.